• and the Jordan Avenue Parking Garage. 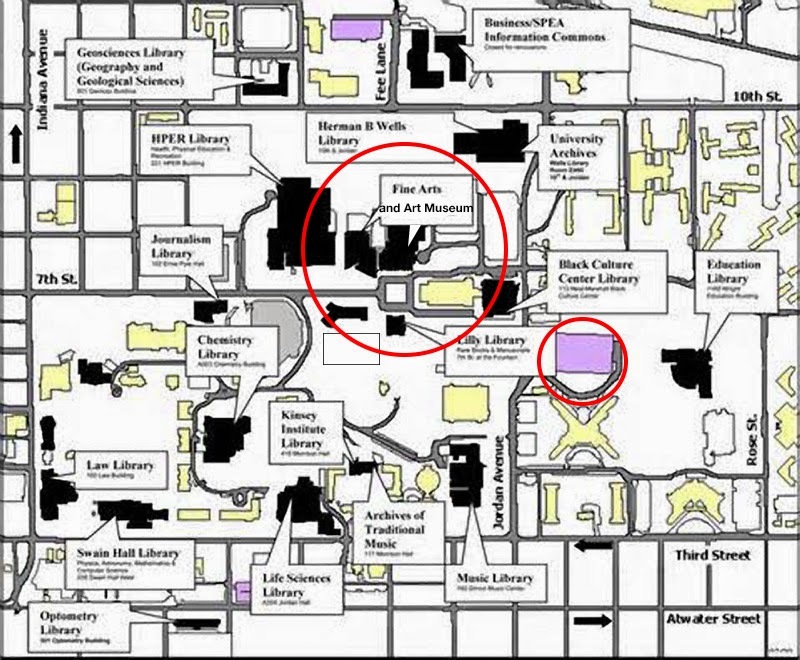 * The Fine Arts circle is directly east of the Fine Arts building. Turn west on 7th Street from Jordan Avenue, and turn right, uphill, at the stop sign and follow the construction fences a bit till you see the circle on your left. ** The Art Museum is next to the Fine Arts building on the west side.